Plastic channels are used in a variety of applications ranging from industrial use machine rail guides or protectors (Nylon, PVC, PC, PE, PP, ABS), to pool liner clips (PE), price tag moldings (Acrylic, PC), and decorative edge trims (Acrylic, PVC, Nylon). 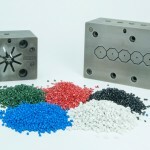 Used for applications requiring high impact resistance, smooth surface quality, and colorability. 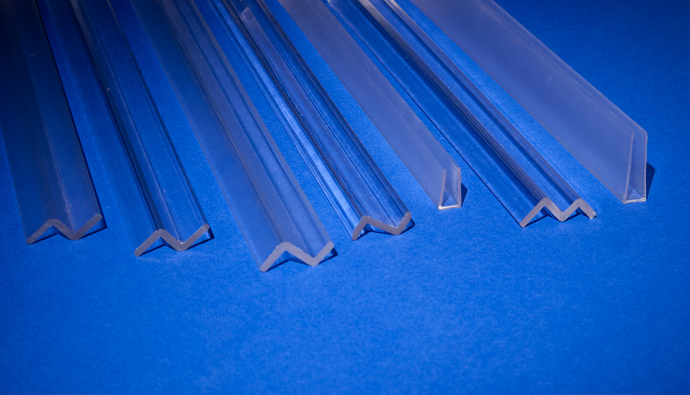 Polycarbonate has excellent surface smoothness, with a glossy finish. 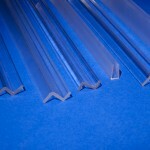 Typical profiles include pricing channels, corner protectors, and edge trims.